Getting a higher education is an expensive endeavor. Scholarships and financial aid are the obvious ways to save money. But that’s just the beginning! Students waste a lot of money on small, everyday decisions that really add up. In order to graduate with minimal debt, students need to minimize their day-to-day expenses. 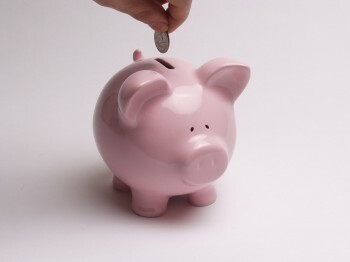 Here are 10 easy ways to cut spending and save money at university. 1) Be smart about sourcing text books. Have you checked the Course Reserves at the SFU Library to see if your textbook is available? If you prefer to study in the library, you can borrow your textbook instead of purchasing it. Alternatively, buy used. Check the SFU Bookstore for discounts on used textbooks. If you shop early, you may also find your textbook for less with the used books section of the local online classifieds and other resources, such as Amazon.ca and SaveOnBook. 2) Take public transportation or bike. Ditch your car. Stop paying for gas and parking. The U-Pass (a discount student transport package) provides unlimited, all zone access to public transit in Metro Vancouver including TransLink Bus, SkyTrain and SeaBus services for $140 per term. A bike is another green way to get around and get fit! You can find budget friendly, used bikes through classified sites. 3) Never pay for water. Use a refillable water bottle. This is better for the environment and your wallet. Did you know you can get refillable water bottles with a filter built in? 4) Set up a student bank account. Many banks, such as Scotiabank and CIBC, offer special deals to students with a valid student card, including no-fee accounts with unlimited debit transactions. 5) Use a refillable coffee cup. Powering through exams with a caffeine-fueled study session? Forgo that caramel latte and drink brewed coffee. Tim Hortons, Starbucks and most coffee shops on and around campus offer discounts on travel mug refills. 6) Reduce rent by sharing space. After tuition, housing costs are one of your biggest expenses. Having your own apartment is an expensive luxury. Sharing a space can reduce your housing expense by up to 50%. You can find a room and fellow students looking for roommates using online classifieds. After all, you can count on the library for peace and quiet. 7) Score free furniture and kitchen gear for your apartment. Whether you’re living on campus or off, you’ll need apartment furnishings and kitchen gear. Check with family and friends to see if they can provide you with free hand-me-down items. Browse the free stuff section in the local online classifieds before heading to the store to buy something new. 8) Prepare your own meals. If you’re living off campus, one big money saver is cooking in bulk on the weekends. Portion this out into meals for your week. Crock pots (bulk slow-cookers) have been making students’ lives better for the last 30 years. Entertainment is an inevitable expense while at university. You’re networking and making tons of new friends. The most budget-friendly way to hang out is to stay in– i.e. have friends over. If you head out for drinks or eats after class, eat/drink cheap. Take advantage of happy hour. If you’re in need of entertainment, hit up a matinee movie instead of an evening show. Are you usually in need of a pick-me-up mid study session? Avoid vending machines. Find what you need at the grocery store. Always keep a stash of healthy snacks like carrot sticks and guac, homemade trail mix, crackers etc. on hand. Andrew Lee has been working with some of the most reputable brands in the world on their social media and SEO strategies for over 8 years. On a trip to Vancouver, he fell in love with the city and he has been actively working with local BC businesses and people ever since. Tweet him @andrewlee2k or connect with him on LinkedIn.